As one of the only active MLB coaches who has never previously coached or played professional baseball, Brian DeLunas' relationship with baseball is complicated, and fraught with breakup and heartbreak. But ultimately baseball has taken DeLunas to places he never imagined he could go. 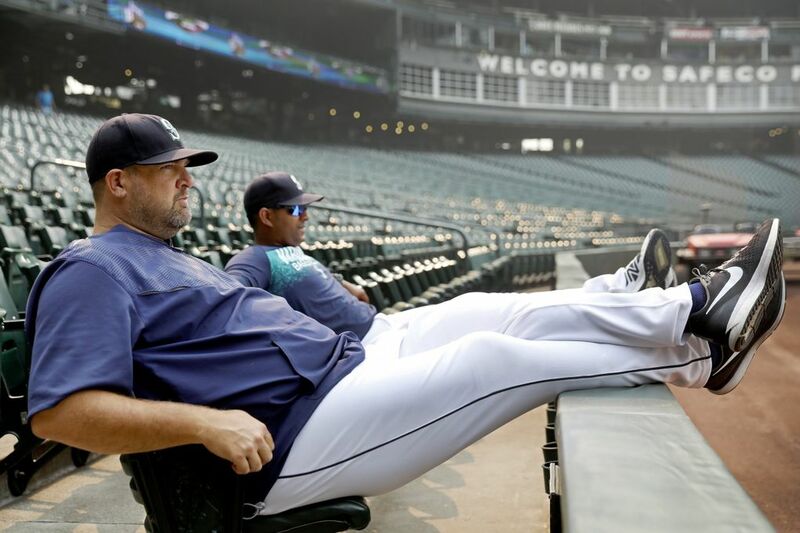 With the Mariners’ series finale against the Astros tied in the top of the ninth, Seattle’s closer Edwin Diaz turned to bullpen coach Brian DeLunas and asked him to make a very important phone call. Upon Diaz’s request, DeLunas called the dugout and told Mariners manager Scott Servais that even though that game was supposed to be Diaz’s day off, if the M’s got the lead, Diaz wanted to close. Diaz ultimately closed the game and earned his 46th save. And you can bet he used some of the tricks DeLunas has shown him in the process. If you’d told Brian DeLunas a year ago that he’d be coaching a major-league team and acting as conduit between one of baseball’s best closers and the skipper, he wouldn’t have believed you. DeLunas took an unlikely route to the Mariners bullpen. He’s a biomechanics specialist, and he’s also one of the only active MLB coaches who has never previously coached or played professional baseball. But his story is also unique because of the many twists and turns in his relationship with baseball. A career in the pros once seemed all but guaranteed, back when DeLunas was a high-school pitching prospect in St. Louis with pro scouts tracking his career. Then, with one errant pitch, an injury derailed DeLunas’ career and shattered his MLB dreams. It took years before he found his way back to his first love, and then, in his words, baseball nearly killed him. But looking back, DeLunas realizes how baseball took him places he never imagined he could go, and where few, if any, like him have gone before. DeLunas started out as a catcher at Oakville High School, but since he happened to possess a live arm that could throw at 85-88 mph, he switched to pitching. By his junior year, DeLunas’ right arm had attracted the attention of pro baseball scouts, and it seemed likely that he would get drafted out of high school to start his minor-league career. Then came that one spring evening in 1992, when DeLunas took the mound against Lindbergh High’s Kenny Payne. DeLunas drew the start even though he had closed for Oakville the night before. Payne, later drafted by the Texas Rangers in 1993, was the third batter DeLunas faced that night — the last night he would ever pitch with a future of playing in the big leagues seemingly within reach, and the last night he would pitch without pain. As he unleashed a curveball, DeLunas felt his right shoulder pop, followed by excruciating pain. He couldn’t lift his arm at all. DeLunas exited the game and went to the trainer’s room, with his arm hanging lifeless. Upon examination, a doctor gave DeLunas two options: Surgery, which, he cautioned, might not fully fix things, or rehab, the route DeLunas picked. “Not being able to lift my arm was scary, but you always feel like it’s going to be fine and you will get put back together again,” DeLunas said. It took three months until DeLunas could throw again, a year until he could pitch full games. But the damage was done. The big-league-caliber velocity that made the pro scouts salivate was gone. Worse, DeLunas went from hurling strikes at will to never throwing without pain. To pitch through his pain, he started popping Aleve, sometimes taking as many as 12 a day. DeLunas rode the embers of his pitching dream into a journeyman college career, playing at three different small colleges, but ultimately went undrafted. Refusing to completely give up on his dream of playing pro ball, DeLunas ignored his shoulder’s deteriorating condition and played in a semipro men’s league for three or four years before reality finally set in. Only then did DeLunas give up baseball, embittered by what could have been. Major-league dreams shattered, DeLunas started working for a company that put together the tire/wheel combinations for Dodge Ram pickup trucks. Even though the work wasn’t something he was passionate about, he never once imagined getting back involved with baseball. Those days were long behind him. One day in 2004, a few years after DeLunas initially left the sport, Mason Horne, DeLunas’ former semipro teammate, called to ask if he wanted to become the pitching coach for the Rawlings Prospects, a St. Louis-based summer high-school travel team. DeLunas hesitated. He’d moved on from baseball. Did he really want to go back into it? But Horne persuaded DeLunas to take the job, and once DeLunas plunged back into baseball, he was hooked all over again. Over the next few years, he coached for several different high-school or club teams, before landing a volunteer assistant position at the University of Missouri from 2006 to 2009. But just as he finally broke into the Division I coaching ranks, DeLunas was hit by a curveball of his own making. His overuse of anti-inflammatories from his post-injury playing days, combined with him going off his blood-pressure medication, exacerbated a pre-existing kidney condition and caused one of his kidneys to stop functioning. DeLunas developed headaches, lost vision in one eye, and only had peripheral vision in the other, which he later found out was happening from mini-strokes in the back of his head. His doctor told him his kidney was only 7 percent functioning. A year before, it was functioning at 70-75 percent, and his doctor had anticipated he wouldn’t have to worry about a transplant for another decade. DeLunas eventually got a kidney transplant, with his brother, Adam, as the donor, but what preceded the operation were 10 months of excruciating dialysis. Simplest things — sitting in a chair, taking a shower — became traumatic occurrences. His skin itched, and the constant cramping was like having a Charley horse in each muscle of his body. But DeLunas continued coaching even though on many days, upon leaving dialysis, he’d sit in his car and give himself a pep talk just to get through the rest of the day. DeLunas presented Missouri coach Tim Jamieson with the option of replacing him, but Jamieson brushed off the suggestion, and DeLunas stayed on, working with several future MLB pitchers and helping lead the Tigers to three Regionals. “I worry sometimes, if I didn’t have that situation, ‘Would I have mentally made it through, physically made it through?’ ” DeLunas said. “Sometimes when other people depend on you, it makes it a little bit easier to forget about your own problems and get after it, get the job done. As his coaching career progressed, DeLunas figured if he couldn’t draw from insights gleaned from a lengthy professional career, he needed to bring something else to the table. That’s why he dived into the world of biomechanics. Since 2010, DeLunas has used biomechanical analysis to assess how the body moves through the pitching motion, evaluate what creates movement deficiencies, and determine whether those deficiencies warrant change. In 2014, he opened his high-performance center, Premier Pitching and Performance (P3), with business partner Josh Kesel. P3 offers individualized pitching performance and strength-training instruction based on new technologies, and incorporates the expertise of physical therapists, chiropractors and massage therapists. DeLunas’ clients included pitchers of all levels, from high schools up to the major leagues — including the Mariners’ own David Phelps. That’s how DeLunas got on the Mariners’ radar. 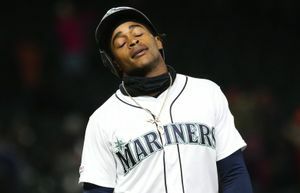 After hearing Phelps’ agent rave about the biomechanics whiz his client worked with, Mariners assistant general manager Jeff Kingston called DeLunas. The two spoke for an hour and a half, and Kingston was blown away by DeLunas’ multifaceted tool kit and understanding of how to optimize player performance. Kingston thought DeLunas would be a huge asset to the organization and that his holistic approach to performance would complement the strengths of fellow pitching coaches Mel Stottlemyre and Jim Brower, who focus more on mechanics and data, respectively. “Brian’s really good connecting all the dots, especially with the player movement side of things and how that ties into optimal delivery,” Kingston said. 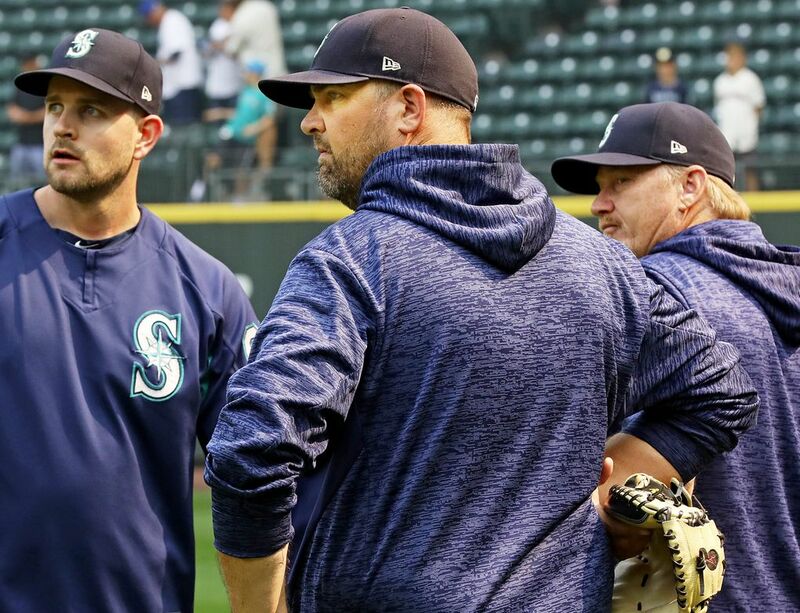 The Mariners announced DeLunas’ hire in early December, and in his short time with the Mariners, the coach’s impact has already permeated beyond the bullpen and throughout the organization. DeLunas was behind the club’s recent implementation of high-speed cameras, which can help pitchers see how they are tunneling pitches and releasing the ball. 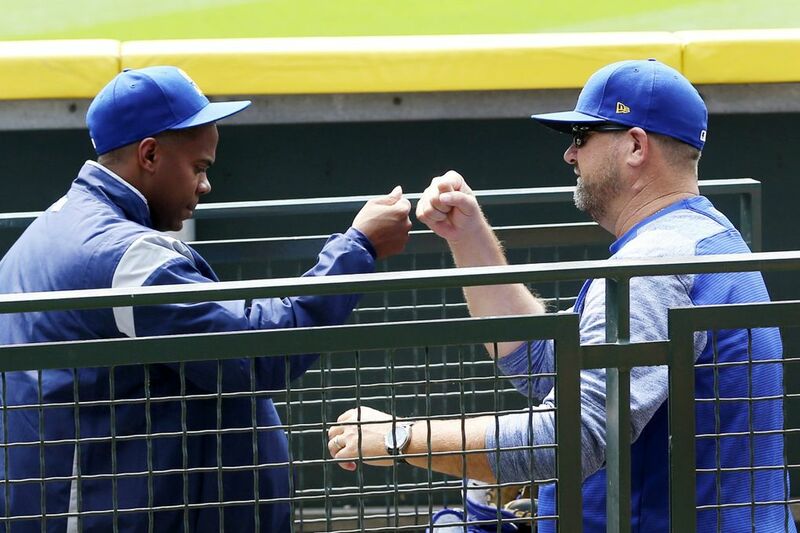 The Mariners have sent some of their minor-league staff to Seattle to learn from DeLunas. Player reviews have also been positive. Diaz, who leads the majors in saves, says he has learned some useful tricks from his new bullpen coach. DeLunas says his lack of pro playing or coaching experience doesn’t really come up anymore. He’s part of the team. He has proved he belongs here because of — not despite — the unexpected twists and turns of his baseball career. There are still moments when DeLunas’ life feels surreal, and the magnitude of what he has accomplished hits him. A flurry of thoughts and emotions flooded his head as DeLunas put on his uniform before opening day, contemplating the promise of the upcoming season. Then came pregame introductions. As DeLunas heard the PA announcer introduce him as the bullpen coach in front of 47,149 cheering fans, he wished his family were there. But he knew they were all watching from St. Louis and elsewhere, knowing exactly how much it took him to get there. Then, there was a baseball game to play. 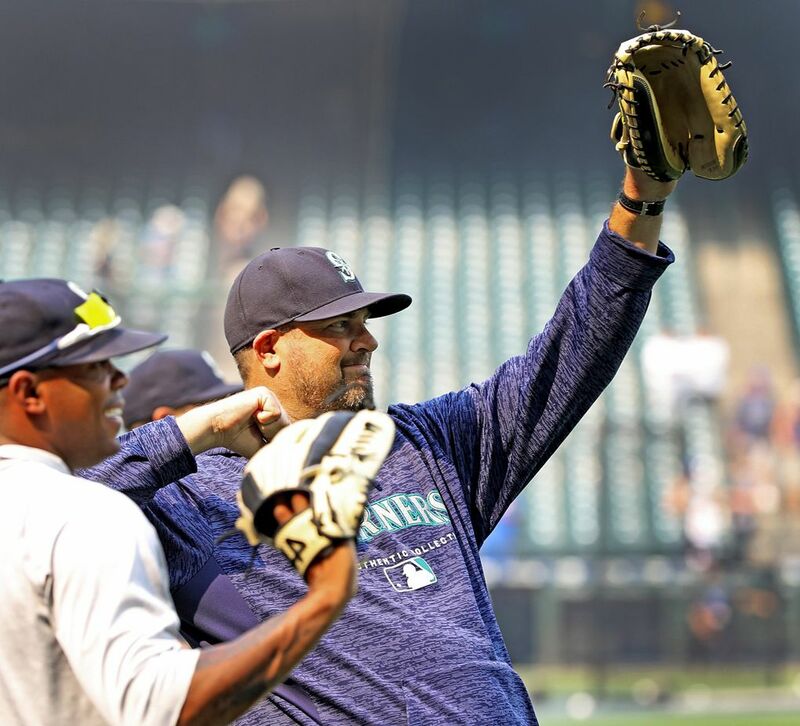 As DeLunas settled into the bullpen for the first time as a Mariners coach, his focus locked in on the matchup between Cleveland’s Corey Kluber and Seattle’s Felix Hernandez, two American League Cy Young winners. 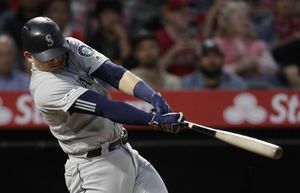 The Mariners held a two-run lead for most of the game, thanks to a solid night from Hernandez and five relievers, but DeLunas was on edge with every pitch until Diaz secured a 2-1 win. Editor’s note: This story was corrected to reflect that Brian DeLunas is one of a small number of active major league coaches who never played or coached in the majors.